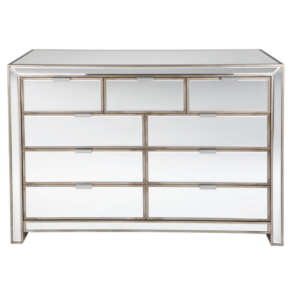 The Sabrina Chest mixes antique gold finishing with 4mm bevelled mirror to create a chest that brings a touch of glamour while opening up small spaces. 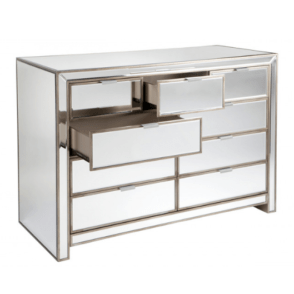 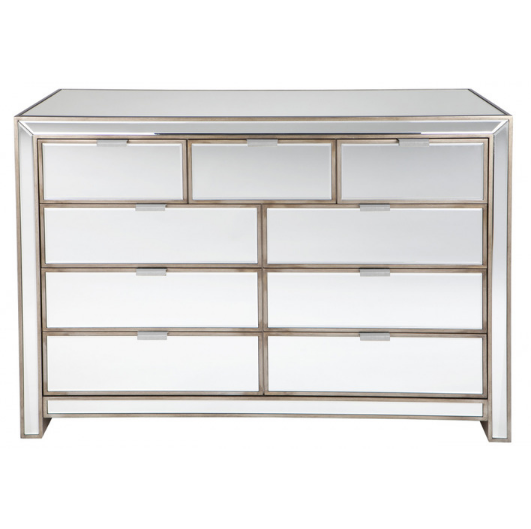 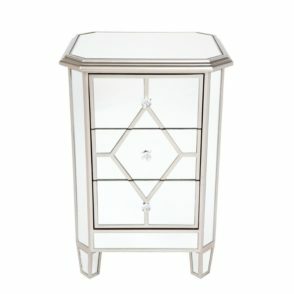 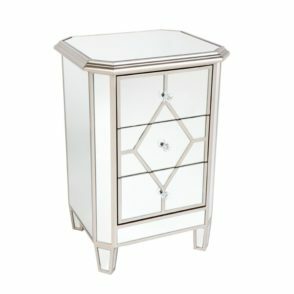 Perfect for Hollywood Glamour or Sparkle and Shine looks, the all-over mirrored finish of the chest reflects both light and space to embody a dazzling airiness. 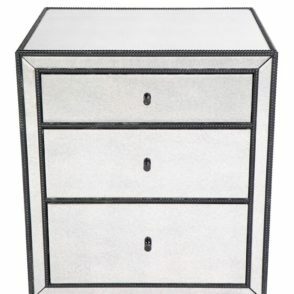 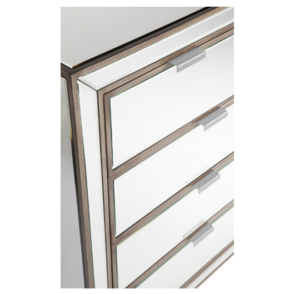 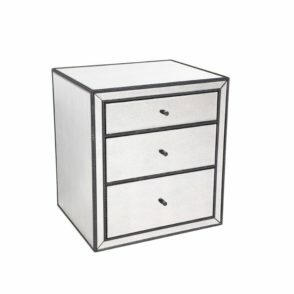 Making up the chest are 9 separate drawers, and a brushed chrome handle creates the ideal contrast on each against the shining mirror and antique gold framework. 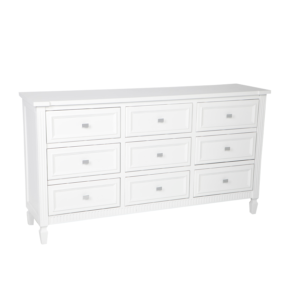 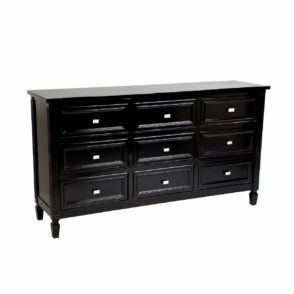 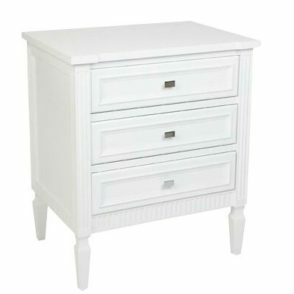 A 1 year warranty keeps the Sabrina Chest covered for 1 year from time of purchase.